Christopher Bassford, CLAUSEWITZ IN ENGLISH. Intro to Part I. It is unquestionably true that books by other foreign writers on war, even some by other Germans, were much more widely read and appreciated. Nonetheless, Clausewitz's name was in fact known to British military writers in this period, and important elements of his theoretical argument became available in the English language within a few years of their publication in Germany. At least two of his historical works were read, in English, within the highest circles of the small British military community in the 1840s. These works were by no means devoid of their author's more abstract theoretical views. Clausewitz's writings, both historical and theoretical, were discussed at the British army's Staff College at Camberley during the 1860s, even before the German military model achieved preeminence in Europe. As for the appearance of an English translation of On War in 1873, the conventional wisdom seems to be just as wrong when it assumes that its publication was motivated by Helmuth von Moltke's great successes and his praise of Clausewitz and that it ushered in a period of intensified interest in the Prussian theorist. Aside from its timing, there is no internal or external evidence to indicate that its translator was motivated by contemporary events at all, nor was its publication the cause or result of any widespread fascination with its contents. Although the Anglo-Saxons certainly took a great interest in the German military model after 1870, there is no evidence for a sharpened interest in Clausewitz in particular before the 1890s. The translation of Vom Kriege in 1873 should therefore be seen not as the beginning of Clausewitz studies in English but as an important expression of a long-standing interest in his thought. For reasons inherent in the nature of Clausewitz's ideas, however, their influence is difficult to trace beyond the occasional quotation from or reference to their author. The influence of Clausewitz's great rival Jomini is easy to detect because his followers naturally adopted Jomini's extensive and distinctive strategic vocabulary. Clausewitz, in contrast, explicitly renounced the creation of such a technical jargon in the field of strategy, and his ponderous but penetrating style of argumentation does not--save for a few choice and often misleading lines--lend itself to quotation. The one quotation from On War with which most of us are familiar, and which has been the focus of much recent writing on Clausewitz, is his famous statement that "war is a continuation of politics by other means." This aspect of the Prussian thinker's multifaceted philosophy was not, however, the focus of Clausewitz's nineteenth century Anglo-Saxon readers. Nonetheless, the evidence suggests that the standard assumption concerning Clausewitz's influence in the English-speaking world in this period, that is, that there was none, is based on false expectations regarding the nature of such an influence and on persistent misapprehensions of his actual teachings. Writers in this field have sought--and failed--to find his influence in the areas of strategy and practical doctrine. 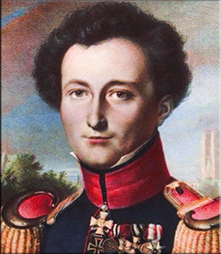 The core of Clausewitz's military theory, however, lies in its historicist philosophy, its analysis of the nature and the dynamics of war, and its pedagogical aims and methods. These elements did in fact strike a chord with some British thinkers. All this is not to say that the British before 1873 (or after, for that matter) were in any sense "Clausewitzians" or to make any sweeping claims for the influence of Clausewitz's theories. Other writers and theorists were clearly more influential. Clausewitz nonetheless did have a place in British military thought. Strachan's comment could more accurately be applied to the United States, but even then it would not be entirely true. Clausewitz's name would have been familiar to any well-read American military man in the 1850s or 1860s. There is, however, far less reason to suppose that the name would have conveyed any meaning. 1. Hew Strachan, From Waterloo to Balaclava: Tactics, Technology, and the British Army, 1815-1854 (Cambridge: Cambridge University Press, 1985), 8; Peter Paret, "Clausewitz: A Bibliographical Survey," World Politics, v.XVII (1965), no.2; Harsh, "Battlesword and Rapier." Werner Hahlweg's "Clausewitz und die angelsächsische Welt," listed no item in English pre-dating 1873 save the anonymous 1843 translation of Campaign of 1812 in Russia. 2. As Strachan himself (somewhat inconsistently) goes on to demonstrate in a brief discussion of references to Clausewitz in the British military literature of the period in From Waterloo to Balaclava, 8-11.